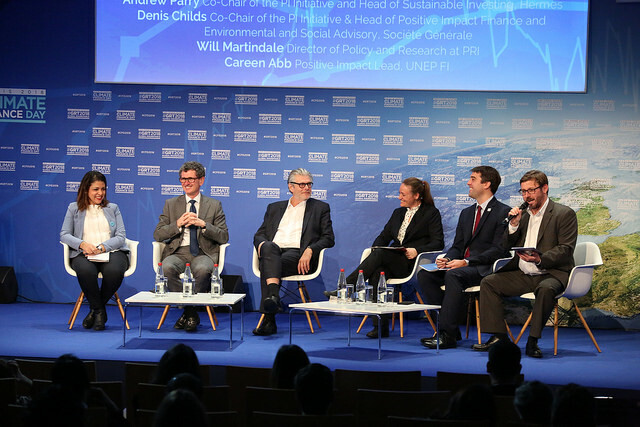 We were delighted to launch Rethinking Impact to Finance the SDGs: a position paper and call to action during a plenary session on the occasion of UNEP FI’s Global Roundtable in Paris, November 26th, 2018. Click here for a video of the session or scroll down for a summary. A second session premiered the Positive Impact Initiative’s new tools for holistic impact analysis, a cornerstone of a PI positive impact approach for financial institutions: the PI Impact Radar and Model Frameworks. Click here to view this session or scroll down for a summary. Rethinking Impact to Finance the SDGs explores the concepts of an impact-based economy and reiterates the case for a common language and a holistic approach to impact analysis and management. It offers a deeply innovative analysis of ways to address the SDG financing gap, highlighting the as yet underexploited potential for reducing the SDG bill, crowding in the private sector, and optimizing public spending. The paper points to the financial value of positive impacts and the potential for developing business and public-private partnerships where impacts are no longer an externality but a core part of the business and financing model. After an introduction by Ligia Noronha – Director of UN Environment’s Economy Division, CNN Europe editor Nina Dos Santos invited speakers Andrew Parry – Co-Chair of the PI Initiative and Head of Sustainable Investing, Hermes, Thierry Boisnon – CEO of Nokia France and VP, Head of Strategy & Portfolio Management, Global Services Nokia and Hamid Tawfiki – CEO, CDG Capital, to present their views on the economic and SDG opportunities of an impact-based approach. 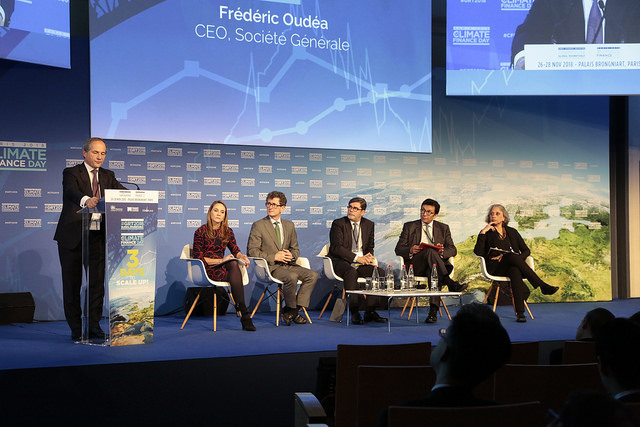 Speakers showed how We their respective institutions from across the economy ( bank, investor, corporate and public sector) could do to to contribute to the emergence of an impact-based economy – and how other actors can help you do so. The session concluded with a call to action and an invitation to collaborate via the PI Initiative. Expert presentation: holistic Impact Analysis: launch of the PI Impact Radar and Model Frameworks. Denis Childs – Co-Chair of the PI Initiative & Head of Positive Impact Finance and Environmental and Social Advisory, Société Générale, framed the role of holistic impact analysis in the context of the positive impact initiative, explaining the importance of impact frameworks, metrics, and an economic system based on impact. Ghizlaine Nourlil – Sustainable Finance Manager, BMCE shared her bank’s experience with holistic impact analysis and spoke of the role that an impact focus can play in accelerating financial flows to emerging markets. Andrew Parry – Co-Chair of the PI Initiative and Head of Sustainable Investing, Hermes, showed how the practice can help build a deal pipeline for investors and highlighted the importance of collaboration across field building organizations, echoed by Will Martindale – Director of Policy and Research, PRI, and Careen Abb – Positive Impact Lead, UNEP FI. Hugh Wheelan – CEO, Responsible-Investor, kindly moderated the practitioners’ panel.